Five years ago, Bernie Poort vowed never to go under the blade again when he last shaved his hair to raise money for cancer awareness. However, this year the Regional Country Manager for A.N.Z Bank decided to do it all over again. 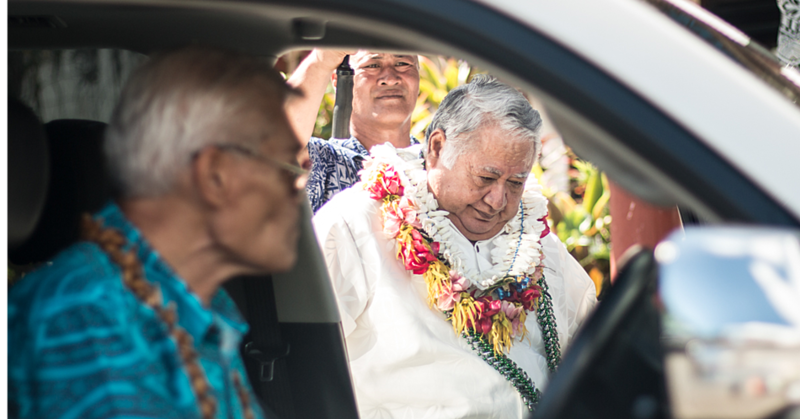 It was not only to honour family and friends who had lost their battle to cancer, but also to throw his support behind an employee at the A.N.Z. Apia branch who is fighting last stage cancer. Mr. Poort and the A.N.Z. 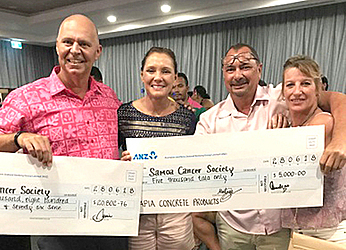 family made an impressive effort to raise money and were able to present $25,800 to the Samoa Cancer Society after the Shave it or Dye it campaign at Taumeasina Island Resort in June. The major event saw members of the wider community come together and raise money to help enable their outreach programmes that support cancer patients and their families. 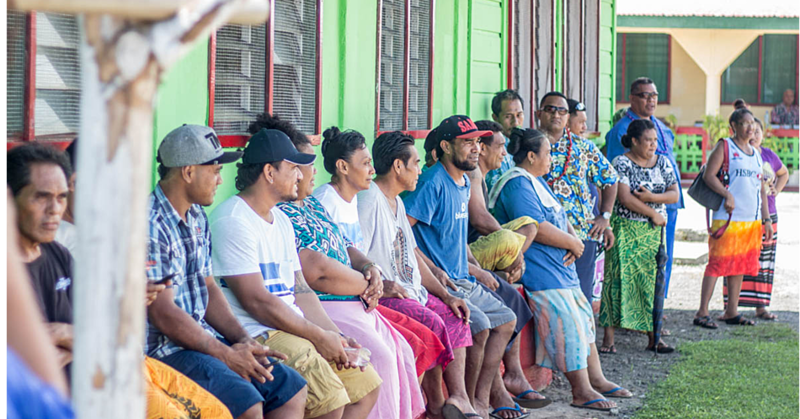 According to statistics, on average, more than 200 Samoan citizens will die because of cancer every year and sadly in more than 80 percent of these cases, if the patient had of presented their symptoms earlier, they could and would have survive. The fundraising effort by the A.N.Z. staff and management was an outstanding team effort said Mr. Poort, who had also dyed his hair blue before he went bald. Mr. Poort praised the customers of A.N.Z. for their generosity as they got behind their bank to help them raise money. The big donation from Apia Concrete Products took their tally from $20,800 to $25,800, which raised everyone’s spirits. A week on and Mr. Poort says he’s growing into his new hairdo but that it did take some getting used to particularly the day after the event. Asked what he thought about his new look and he replied: “Well, it’s cold,” he smiled. And will Mr. Poort maintain his new look?